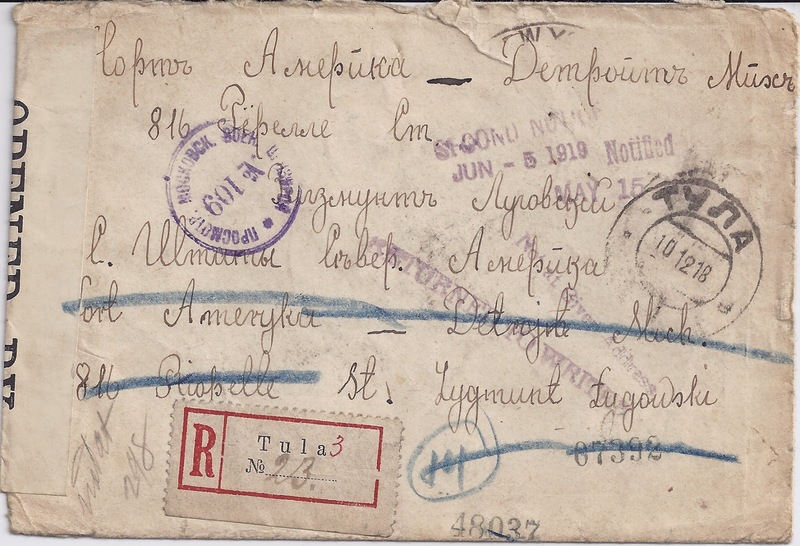 I have blogged previously about the fact that Bolshevik Russia offered NO mail service to foreign destinations from 1 January 1919 until end of June 1920 - a remarkable fact. But when I look at my mail from Bolshevik Russia going abroad in 1918, there is very little after August - September. I began looking for the latest date in 1918 I could find and picked out the letter above to the USA which started out from Tula on 10 December 1918. The letter did not arrive in the USA until June 1919 - something the British censor [ in London?] may have had something to do with more than the fact that it is incorrectly franked (or maybe a stamp is missing). 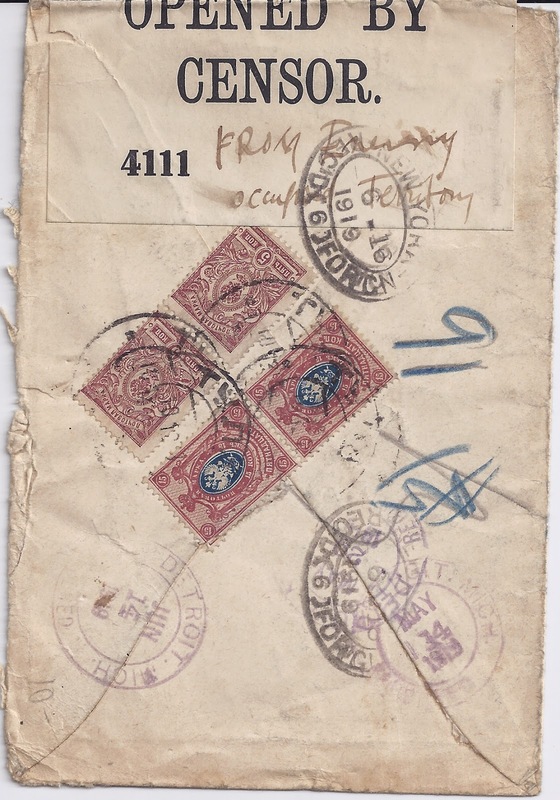 Added 19 April 2015: Alexander Epstein thinks that this cover dates from December 1917, with a slipped date in the Tula cancellation. I think he is probably right - the remark on the Censor strip is compatible with British policy in January / February 1918.